My doctor says I shouldn’t take herbs because they are unregulated. How safe are those things anyway? Why is there a Proposition 65 warning on the bottle of herbs you gave me? How do I know the herbs you give me are what you say they are? As a Chinese herbalist, I hear these questions almost every day. There is a tremendous amount of confusion and misinformation about the safety of herbal products. Nobody really understands how products are made, how or if they are regulated, whether they interact with drugs, or how safe they are. I use herbs on a daily basis to help support normal physiology. While the questions above raise valid points and do have elements of truth, I maintain that herbs are quite safe when purchased from a reputable source, taken in appropriate amounts in the correct situations, and used with respect. 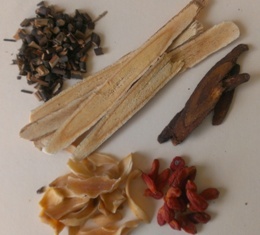 In Chinese medicine, an “herb” is any non-drug substance which has an effect on physiology. Herbs may be roots, stems, leaves, tubers, or flowers of a plant. They may also be mineral, shell, or animal substances. Herbal traditions have deep roots in the medicine of the cultures which use them and are often passed down through generations of families. While it is true that there is very little “research” on most herbs, it is also true that there may be years of observational/anecdotal experience with the use of a particular herb. Are herbs safe? The answer depends on the herb. Herbs can be powerful medicine, and anything with the power to heal can also do harm. Like any medicine, herbs should be used with respect. 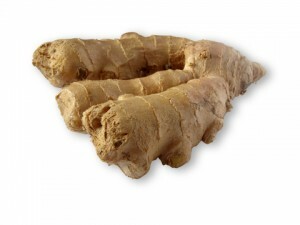 Some herbs such as cinnamon and ginger are very safe with adverse effects typically limited to feeling a little too warm. Other herbs, like aconite, need to be specially processed and used in very specific ways in order to mitigate their toxic side effects. In the United States, herbs are regulated as dietary substances rather than drugs. This is good in some ways and bad in others. For a drug to be approved for use in humans there needs to be extensive testing over various phases. This costs millions of dollars and takes a very long time. If herbs were regulated like drugs, we would be required to subject oregano to all the same testing a drug goes through in order to use it. This is unlikely to happen because of the amount of money and time involved in testing. Pharmaceutical companies cannot patent oregano, so there is no way for a company to recoup any of the money spent on this research. Regulating herbs as dietary supplements removes this testing requirement but it also means that manufacturers are unable to make any medical claims regarding the use of herbs. This makes it very difficult and confusing for people to decide which herbs to use, when to use them, and how much to use. It also means herbalists rely on the word of mouth herbal traditions and observation of effects rather than on scientific research to determine when and how to use herbs. There is a perspective that herbs are natural substances and therefore safe in all circumstances. This is absolutely not true. While many herbs are completely safe, some plants are poisonous and many are fine in small amounts but can make you sick if you consume too much. Any substance with the power to heal also has the power to harm. Some herbs, like peppermint, are extremely safe with no known potential for adverse effects. Other herbs, like ephedra, are safe when used correctly but can be problematic in the wrong dose or for the wrong patient. Each substance needs to be considered individually and as part of any formulation it appears in. In Chinese medicine, we almost never use one herb in isolation. Formulas are designed with an average of 3-7 herbs and the effects of the combination are different from the effects of the individual parts. Allopathic doctors like to see one substance used at a time, each rigorously tested. Herbal formulas drive them crazy because each herb may have upwards of 20 chemical components and once they are combined into a formula it is impossible to know which substance is having which effect. While this makes people trained in western scientific method very uncomfortable, it does not necessarily mean the formulas are unsafe. Formulas of the Shang Han Lun have been used since the Han Dynasty (approximately 2000 years!) with relatively few safety issues and fantastic results when the right formula is recommended for the right patient. One of the biggest issues I see in the use of herbs is knowing what is in your formula. Because herbs are regulated as dietary supplements, there is no requirement from the government for them to be batch tested to prove they contain what they say they do. Policing for this instead comes from within the industry of herbal product makers. There are hundreds of stories about people purchasing bottles of herbal supplements from 10 different manufacturers, submitting them for analysis by an independent laboratory, and discovering that none of them contain the exact species or the concentrations advertised. To some degree, it is a buyer-beware situation. Reputable companies test their raw materials to verify the correct species is being used, and test each batch of product to make sure the concentration is standardized and that it still contains the appropriate ingredients. Liquid chromatography is used for this, and you should be able to request a data sheet on any supplement if you have a batch number. Testing for pesticides, heavy metals, correct species of herb, and correct concentration of herb takes time and requires independent laboratory analysis and/or expensive testing equipment. The companies who provide this level of transparency charge more for their products and many of them sell their products only to licensed health care practitioners because they want to be certain that their products are used correctly and safely. I take my patients’ health and safety seriously and I spend a tremendous amount of time screening products, researching manufacturing processes, finding out where the herbs are grown, and making sure the products I provide to my patients are what I think they are. I ONLY carry brands I feel confident about, and I personally use these products for my own care and that of my family. If you have questions about the safety or quality of an herbal product you are considering, please use me as a resource. I’ll do my best to give you an honest and accurate assessment of the product and make recommendations for alternative products if I have any concerns.